Tucked away in the San Niccolo neighborhood of Oltrarno is one of the hidden delights of Florence - the spectacular gardens of the Villa Bardini. Only recently opened to the public, the villa and gardens are a splendid place to visit some lesser-known museums as well as to enjoy the gorgeous views over the Lungarno Torregiani. Located on the other side of the Arno, and just a short stroll from the more famous Boboli Gardens, the Villa Bardini is one of the lesser-known treasures of Florence - and something worth discovering. The Bardini garden, with its statues and beautiful views, is an excellent example of an Italian Renaissance garden. 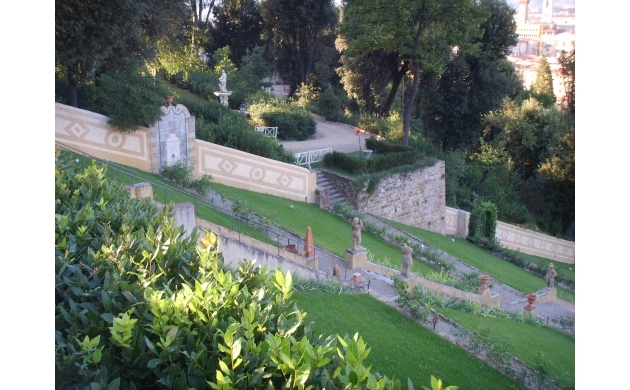 Covering over four hectares, the gardens were once a group of orchards near the Mozzi Palace. 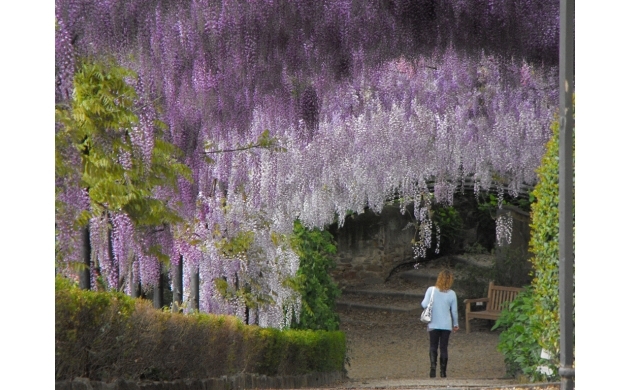 Acquired by the antiquarian Stefano Bardini in 1913, the gardens now house various plant and flower species as well as a beautiful English-style wood. With fountains and waterfalls, over 60 types of hydrangea, colorful roses and irises, azaleas and countless other flowers (as well as boasting breathtaking views over the monuments of the city of Florence below) - the gardens of the villa are truly not to be missed. The Villa Bardini, located not far from the Pitti Palace, was originally constructed in 1641 by the architect Gherardo Silvani on a panoramic hillside position (with such wonderful views to have given the Villa its previous name, the Villa Belvedere). The building itself was expanded many times in the 19th century and later raised an entire level by Stefano Bardini whose family lived in the villa for many years. Now holding sixty rooms and totaling over 3800 square meters, the villa is home to numerous museums and exhibition spaces, as well as a restaurant and terrace with beautiful views over the city. In addition to the museums and temporary exhibits, the villa also hosts the Italian Horticultural Society. The Villa is home to some of the smaller and lesser known of Florence's many museums. For those interested in fashion, the museum of the famous Italian fashion designer Roberto Capucci may hold special charm with its peculiar visual and sensory displays. There is also the private collection of the post-war painter Pietro Annigoni (which includes portraits of American presidents John F. Kennedy and Lyndon Johnson, members of the British royal family, as well as the shah and empress of Iran). In addition to the permanent collections of these two museums there are other interesting temporary exhibitions which are also included in the cost of a ticket to the museums. Inside the villa complex one also finds the fine dining establishment La Leggenda dei Frati. With its innovative cuisine steeped in the traditions of the Tuscan countryside, one can have a fantastic culinary experience combined with the cultural splendors located within the villa itself. Truly an extraordinary experience and not to be missed! The Villa, garden and museums are open from Tuesday to Sunday 10am to 7pm. 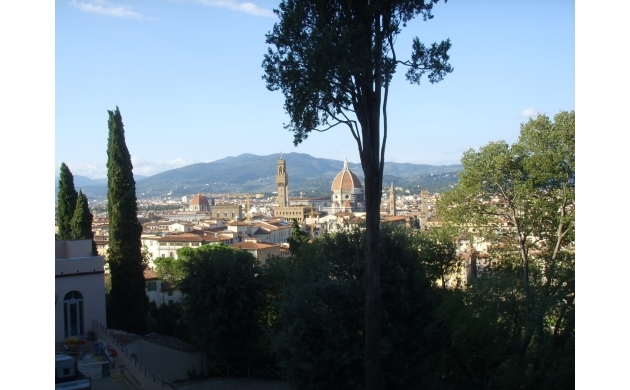 The villa complex is located not far from the Pitti Palace and Boboli Gardens - both just a short walk away. Entrance to the Villa is from Costa San Giorgio 2, Florence.